Hash House A GO GO A New Twist On Farm Fresh Food! Bahrain (nation comprised more than 30 islands in the Arabian Gulf) is looking to break a world record. To kick off 2019 the Gulf state announced that it’s preparing to launch the world’s largest underwater theme park, covering an area of over 100,000 square meters. According to a statement by the Bahrain News Agency (BNA), the dive site will have a 70-meter long (229 feet) decommissioned “Boeing 747” as its centerpiece, the largest aircraft ever to be submerged. The project is a joint effort between the government of Bahrain, namely the Supreme Council for Environment, and Bahrain Tourism and Exhibitions Authority (BTEA). President of the Supreme Council for Environment emphasized that the eco-friendly project will become an international tourist attraction, given its large area and unique experience for diving enthusiasts. 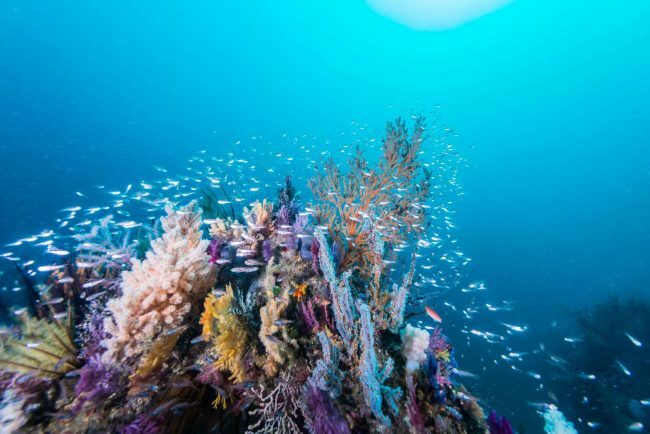 The council further emphasized that the dive site will also provide marine biology researchers with rich information and data on marine ecology and biology that will be a major boost to the Kingdom’s eco-tourism sector. The site will provide an exceptional dive experience as it will include several structures in addition to the aircraft, such as a replica of a traditional Bahraini pearl merchant’s house, artificial coral reefs and other sculptures fabricated from eco-friendly material, all submerged to provide a safe haven for coral reef growth and a habitat for marine life. Similarly, the UAE announced plans last year to produce the largest coral garden in the world along the coast of Fujairah. The garden, expected to set a Guinness World Record, will provide a haven for biodiversity to sustain and rehabilitate ecosystems in the UAE. This is very exciting, and the idea is unique so I think it’ll be a hit! Stay Tuned for more Theme Park News & Information! © 2017 Theme Park HD. All rights reserved.